Downia, the makers of superior, ultra-comfortable bedding, understands that some days are harder than others. The Downia Soft Side Up Duck Down and Feather Pillow is created with your comfort and sleeping preferences in mind. This decadent pillow features two sides - a firm side for support and a soft side for comfort - effectively delivering two pillows in one. The soft side of this pillow is filled with 40% duck feather and 60% light, fluffy duck down, for a sleep experience that's soft as a cloud. On the firm side, you'll find 90% duck feather blended with 10% softening duck down, delivering strong yet flexible support. The Downia Soft Side Up Duck Down and Feather Pillow is fully washable, and comes with a soft, comfortable cotton twill cover. 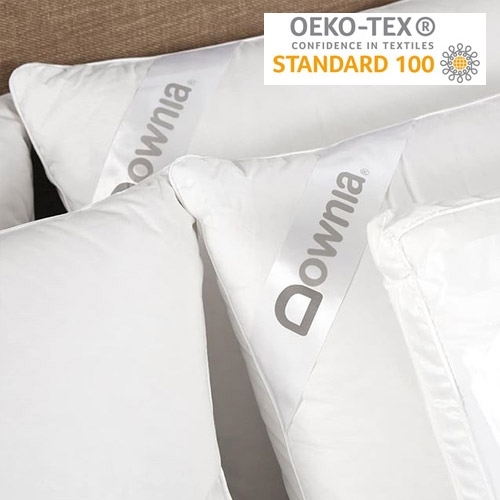 The pillow is thoroughly tested for harmful substances according to Oeko-Tex Standard 100, among the highest standards in the bedding industry. 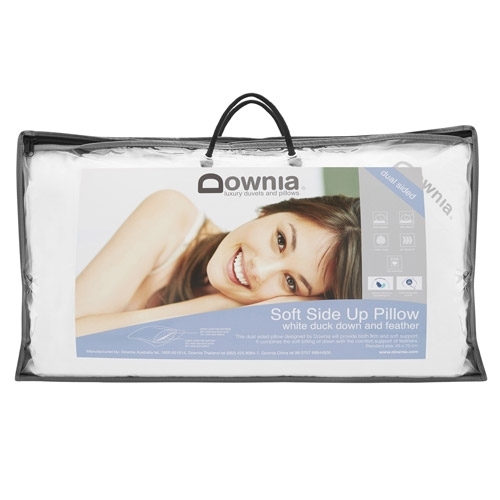 All Downia down bedding is hypoallergenic and asthma-friendly, courtesy of a unique sanitizing process that uses 12 cycles of washing and rinsing to remove allergens, dust, and bacteria. Downia feather and down products are endorsed by the Asthma and Respiratory Foundation of New Zealand. Indulge yourself with this luxurious two-sided pillow, and enjoy Downia's full five-year guarantee of quality and comfort.